There's a few ways of dealing with those Thursday mornings when your heart says cinnamon jam donuts but your fridge tells you that you have a truckload of butter and jam to get through. You could get dressed and run a brush through your hair to take a day trip over to your local cafe strip and hunt down those donuts or you could make the next best thing in the comfort of your tracky pants and ugg boots. 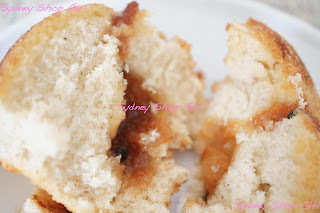 I was embracing laziness this morning and made a batch of Cinnamon Jam Muffins using a recipe from New Idea. The thing about baking at leisure is that you have the time to smell the roses or more accurately, peruse the butter. The butter I used today was Costco's own brand and is made in America. Just for something a little different. I figure if there's room for exploring things like olive oil from around the world then it wouldn't hurt to explore butters in the same way. There was a wealth of information on the wrapper. 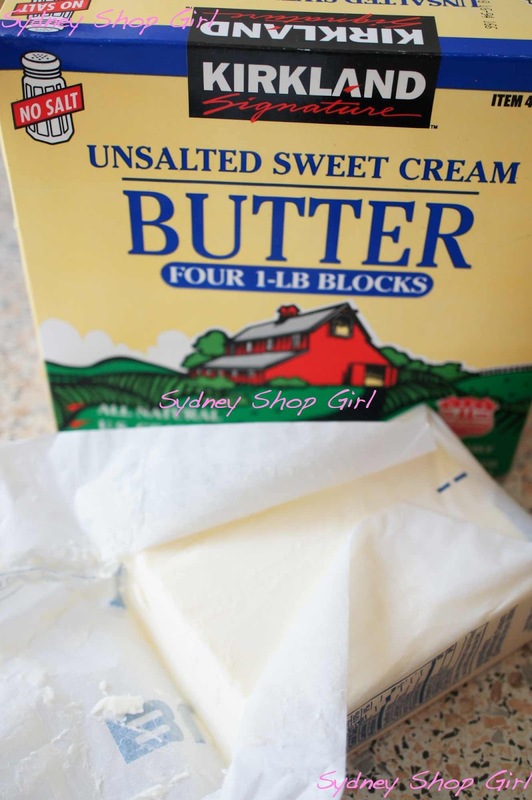 I now know that there are 454g in a pound of butter. You have no idea how much I struggle with the conversion when faced with US recipes. 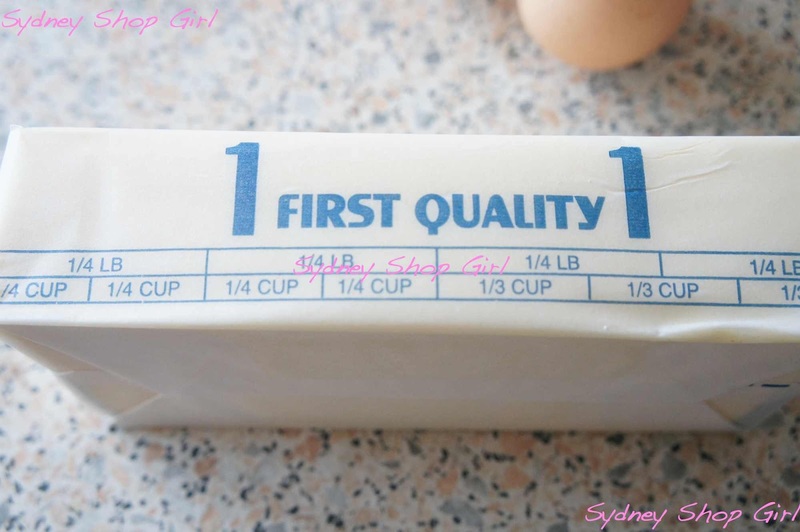 There was also a guide to the ubiquitous cups of butter that American recipes like to use. There wasn't a 'stick of butter' conversion though. I'll have to google that unit of measurement later. American butter is paler than Australian butter whilst their cheese is generally more orange than ours. Aside from the colour difference, I did notice that the texture of my muffins today seemed lighter and more cake like than usual. It could have been one of many things - the American butter, the fact that I had a vanilla pod infusing in the caster sugar or that I was relaxed whilst baking that I creamed my butter and sugar perfectly. 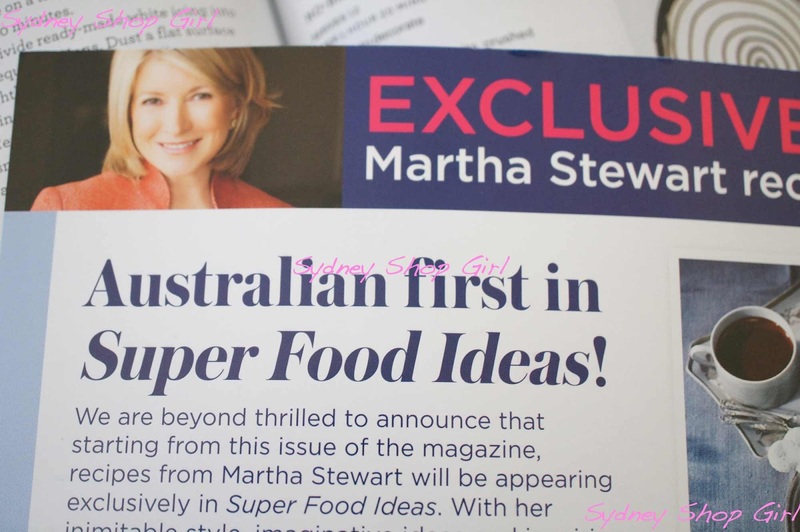 Speaking of Americans in Australia, if you're a Super Food Ideas reader, excerpts from Martha Stewart Living will appear each month, starting with a Halloween special in the latest issue. The units of measurement in the recipes are metric. 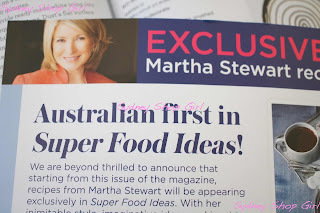 Currently SFI retails for $2.99 at Coles so it's a bit of a bargain to get an edit of Martha in addition to the regular SFI content. 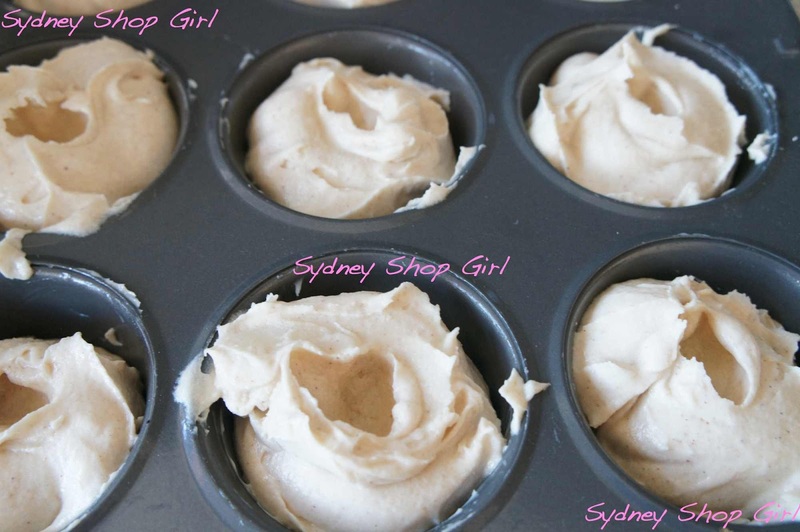 I know this post is all over the place but never fear, the complete muffin recipe is at the end of this post. With no interruptions. While I'm doing all these asides, guess who has a new book out? Nigella Lawson's latest cookbook, Nigellissima has launched in Australia. There is also a television series (swoon) but I'm not sure when it will reach Australia and whether it will be on pay or free to air. I'm sold on the subtitle promising instant Italian inspiration. Back to the muffins. It turned out to be an Australian American Alliance in the butter stakes because I used some home grown butter for the donut inspired cinnamon glaze. 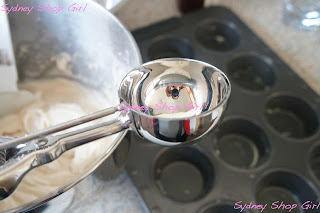 When it came time to fill my muffin pan, I whipped out my old school ice cream scoop and used a trick that Donna Hay and Nigella Lawson swear by for even batter distribution. The filling of the muffin holes went to plan, as did the making of a well in the centre of each muffin with a teaspoon. In hindsight, I should have lined my muffin holes rather than greasing. The jam oozed and stuck the muffins down to the tray and I lost a few in the process. I used a fancy jam with lots of fruity chunks in it. 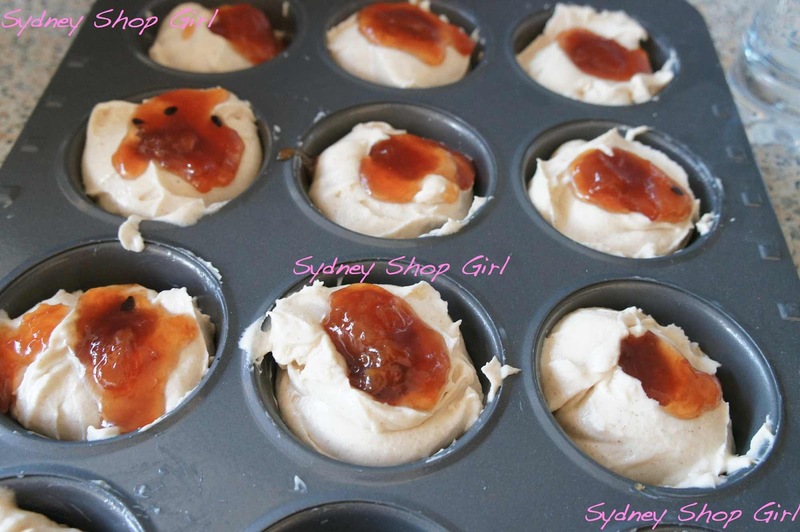 Not quite the usual jam for donuts but the exxy jam did make the muffins taste delicious. To finish off the muffins after baking, brush the tops with melted butter, straight out of the oven and then dust with a generous amount of cinnamon sugar. The texture of these muffins is cake like, not as coarse as hand mixed muffins are. The topping is a cheat's alternative to old school cinnamon muffins. I've been eating these muffins all afternoon. My theory being that if you eat one that broke on de-panning, you have to eat another intact one. Just because. Grease a 12 hole (1/3 cup capacity) muffin tray. Cream together butter and sugar until light and fluffy. 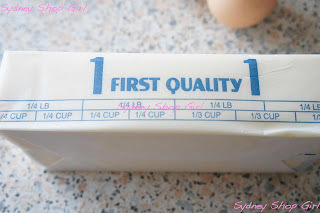 Add eggs one at a time, beating until just combined. Stir in combined sifted flour, baking powder and cinnamon alternately with milk, in two batches. Divide mixture evenly between prepared pan holes. Use a teaspoon to make a hole in the centre of each muffin. Drop 1tsp of jam in each hole. Cooke at 190C for 18 - 20 minutes. Stand in pan for 5 minutes before turning out onto a wire rack to cool. Brush tops of muffins with butter. Sprinkle evenly with cinnamon sugar. I read somewhere that Nigella has lost a bit of weight and maybe some fans in the process. But I mean, who really believed that she was getting up at 3am to make roast duck and cheesecake for a snack, floating around the kitchen in her negligee. Oh yum these look so good! Would be the perfect dessert! Yum! Those look delish - not good when I'm meant to be dieting. (Ignore the fact that I've been posting dessert recipes all week). 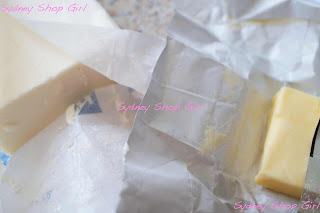 I've had many an indicent trying to work out what a stick of butter equates to. 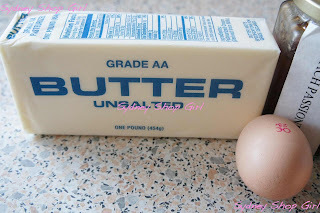 Then I found this awesome butter converter: http://www.traditionaloven.com/conversions_of_measures/butter_converter.html Just put in the amount you have to convert i.e. two sticks and choose the measurement you want it to come out and it works it out eg 226 grams! Happiness Makes the World Go Round. Getting Things Done From Home. Doing the Maths. In the Kitchen. Rake is Back, Hurrah! Malay Chinese Takeaway, Sydney CBD. A Night Out With Fashion, Sydney's VFNO 2012. The La Clinica Clear Spring Skin Care Giveaway. Flowers, Favourite Foods and Fathers.